So happy to introduce you to Sierra if you haven’t met her before in blogland. 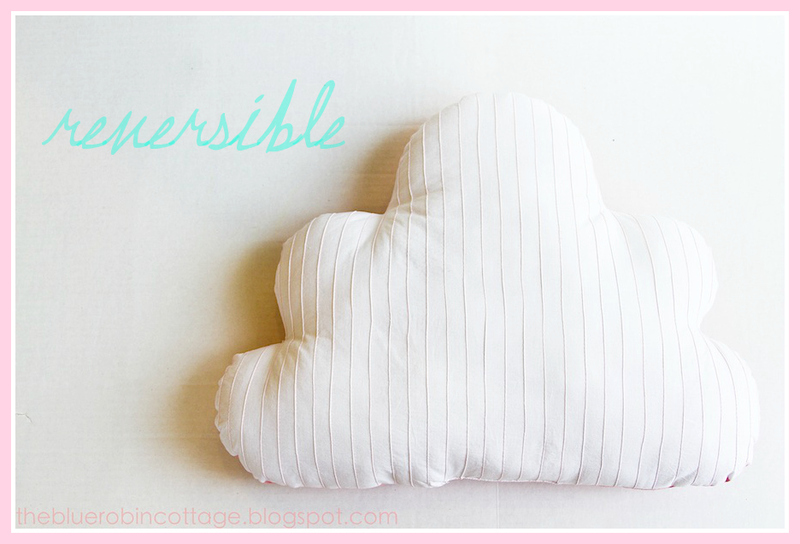 We recently became aquainted to her blog and fell in love with her simplicity. 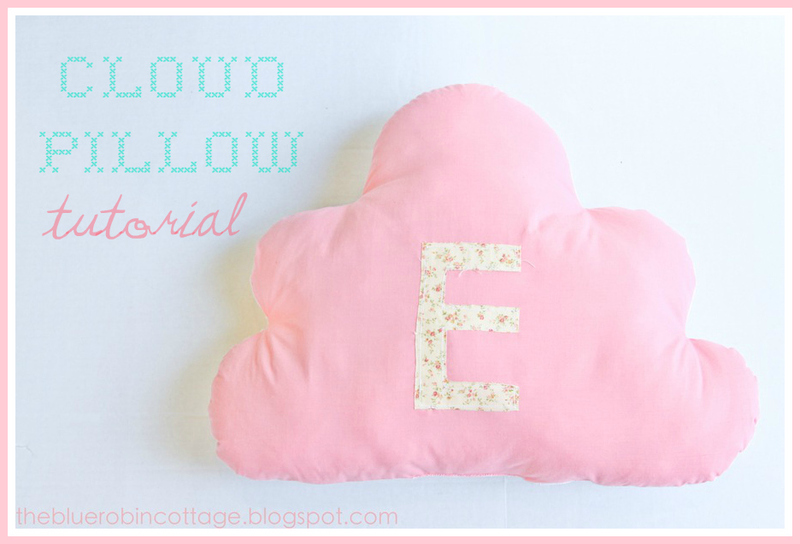 Today she’s showing off her adorable Cloud Pillow Tutorial, yay! 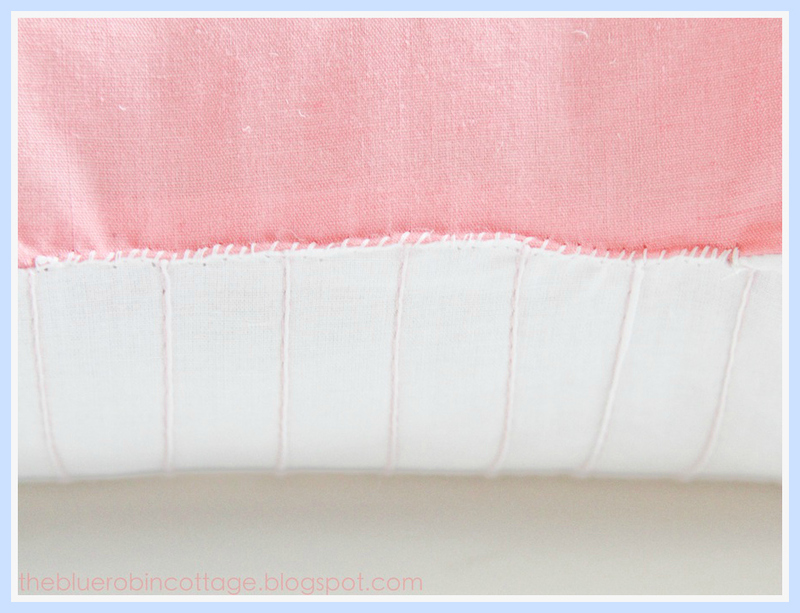 Hello lovely Lolly Jane readers, I’m Sierra from the Blue Robin Cottage! At the Blue Robin Cottage you’ll find a bit of home decor DIY, craft ideas for your little ones and lots of vintage treasures. 🙂 I am so thrilled Kelli & Kristi invited me over to share a tutorial with you today (I may or may not be a huge fan of theirs ;))! After seeing adorable whimsical cloud pillows everywhere, I took it as a sign that I should probably make one for my daughter’s new big girl room. 😉 So today, I’m sharing the DIY on how to make one! Step 2: Cut out your pattern and trace onto your two fabric pieces (right sides together) with your fabric pencil or pen. Step 3: Pin and Sew along your traced pattern, leaving about a 4 inch gap at the bottom. 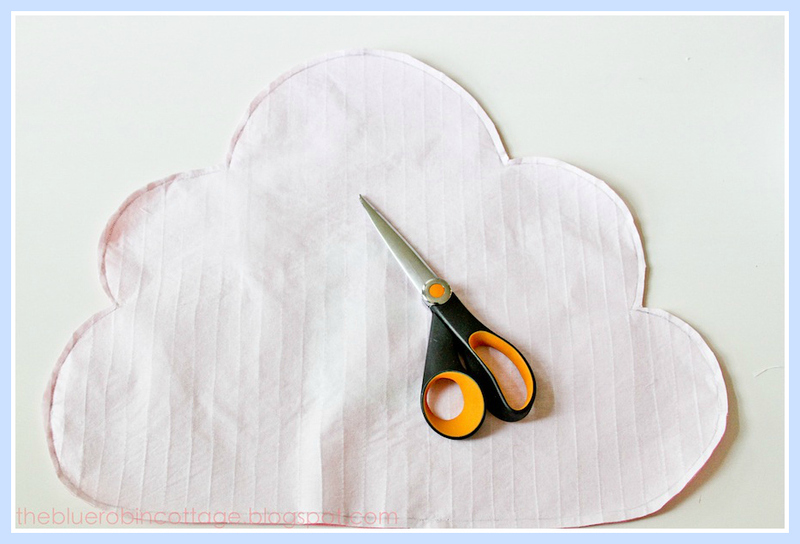 Step 4: Cut excess fabric off around your cloud, leaving about a 1/4-1/2 inch seam allowance. 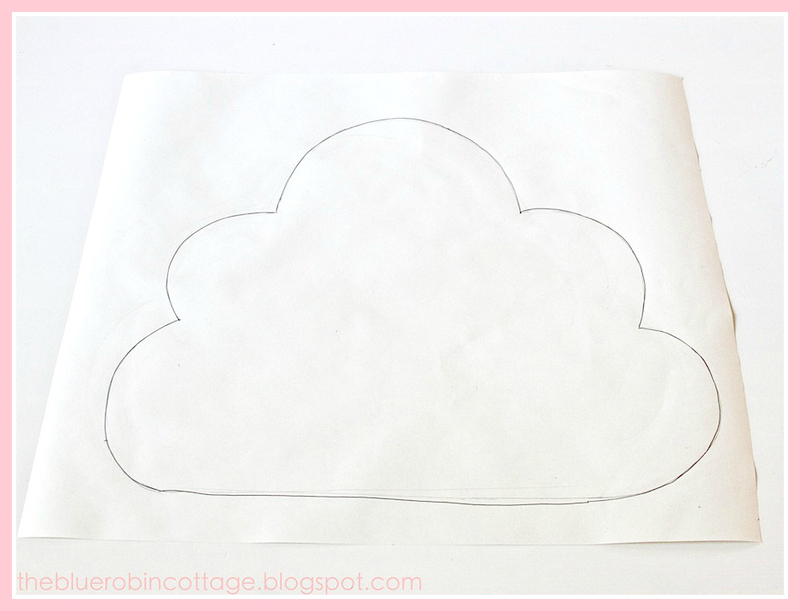 Step 5: Turn your cloud right side out through the gap and press. 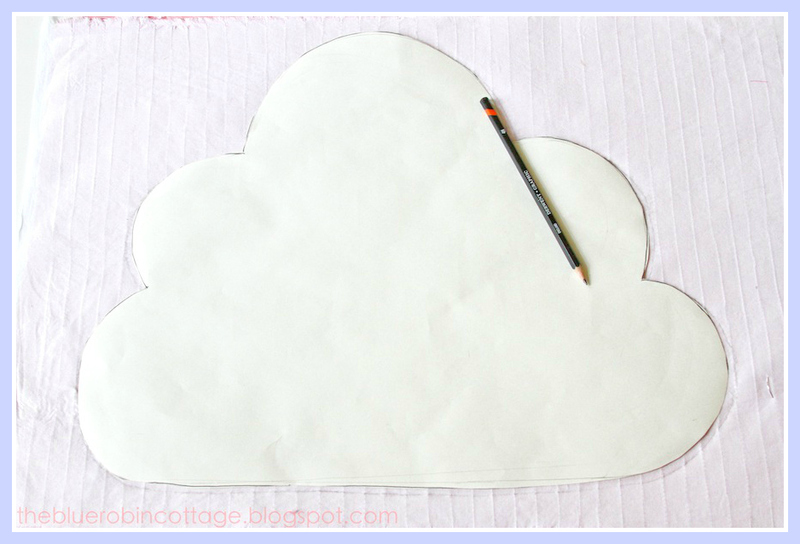 Step 6: Stuff with poly fil until your cute cloud pillow is nice and plump (like a fluffy cloud should be). 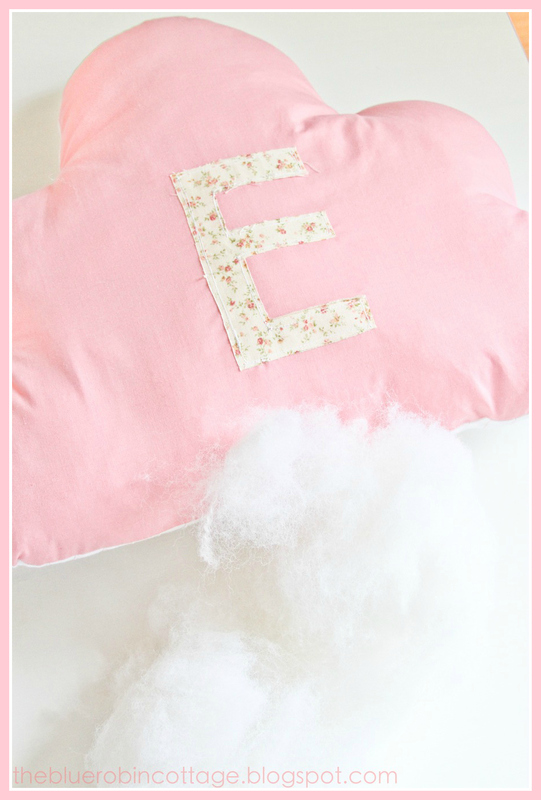 And your finished with your sweet little whimsical cloud pillow! 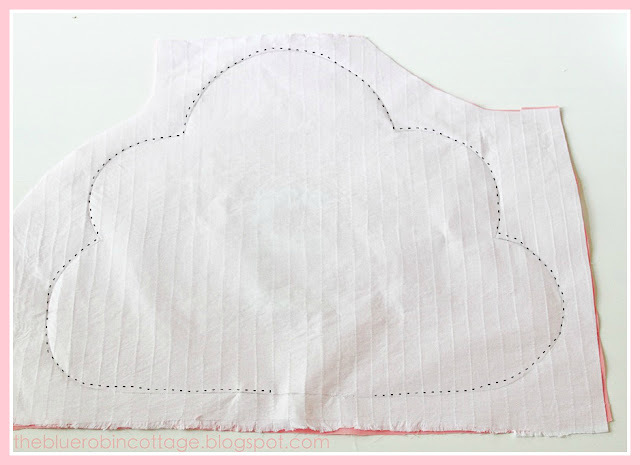 I made my daughter’s cloud reversible so that if she gets a little bored with one side, she can flip it to the other side. Thanks so much for having me today! 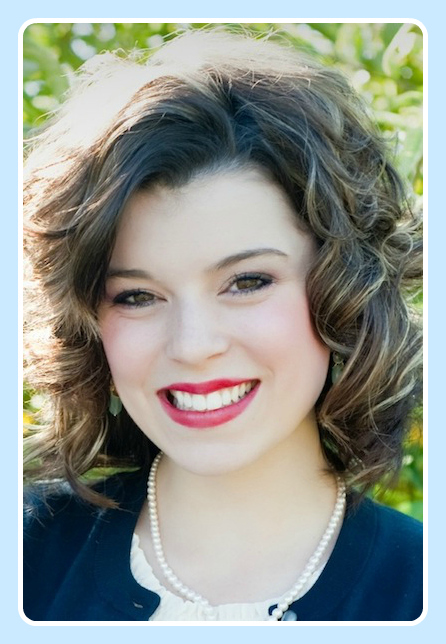 Stop by and see me soon at the Blue Robin Cottage! This is so cute! I could definitely make this! !-LOVE it! oooh that cloud pillow is simply CUTE and i would love it in my daughters room! 🙂 great tutorial! 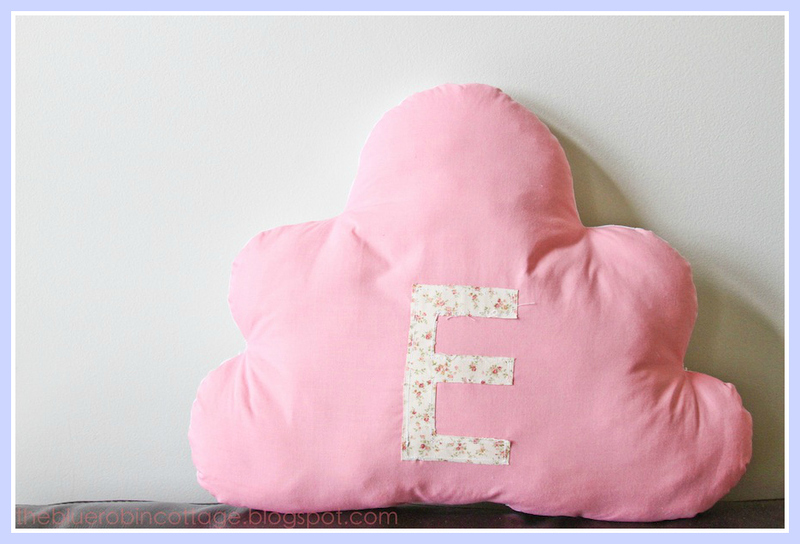 This is such a sweet pillow! Thank you for sharing! 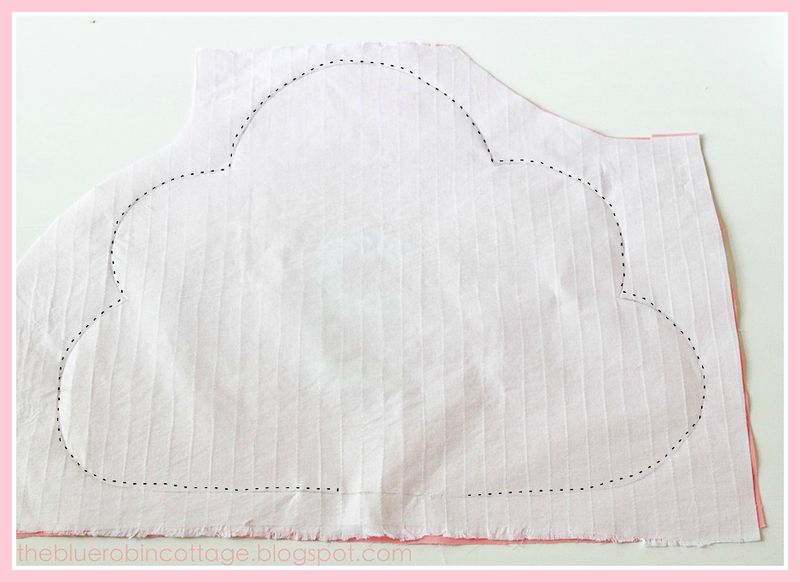 Do you have a template for these cloud pillows?